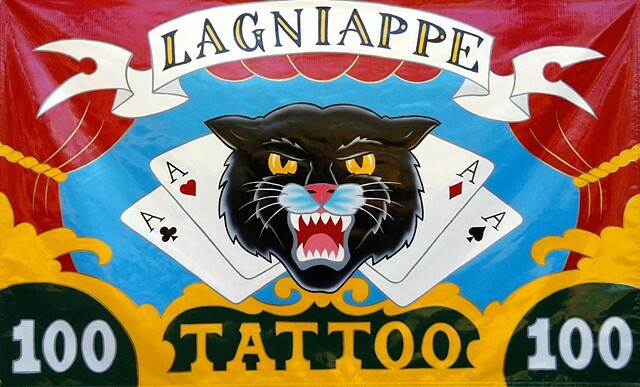 Lagniappe Custom Tattoo Studio is a clean, comfortable place to get quality work in a fun and relaxed atmosphere. Established in 1997, we have been serving the New Orleans metro area ever since. We are located at 1834 Gause Blvd. W., Slidell La. Our phone number is (985) 781-4748. We have a courteous and professional staff of talented tattoo artists who offer decades of experience in all styles of the art. Come in and browse through our thousands of designs or have one of our artists design a unique, custom piece just for you. We are open seven day a week from 1pm till 10pm so come on by. Walk-ins are always welcome, or set an appointment; either way we aim to give you a great tattoo experience with Lagniappe: that little something extra.